Japanese Prime Minister Shinzo Abe called Thursday for the world to put the “greatest possible pressure” on North Korea to abandon its nuclear missile programme. “The international community must unite in applying the greatest possible pressure on North Korea,” he said just four days after Pyongyang staged its sixth and most powerful nuclear test to date, which it described as a “perfect success”. 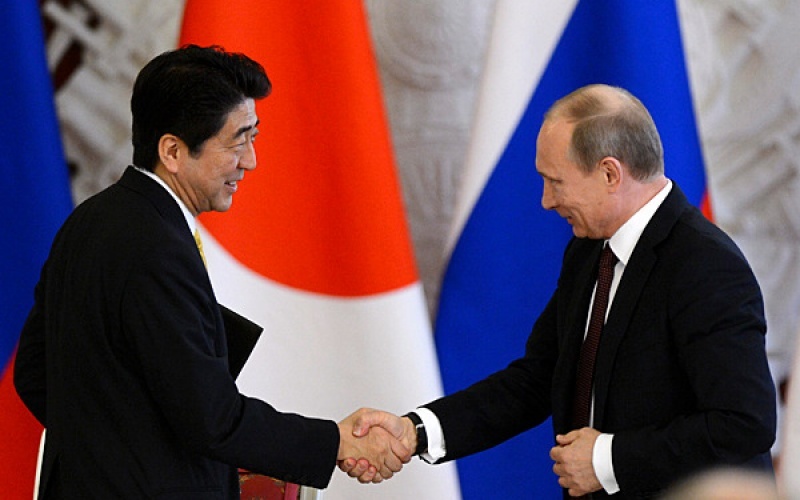 “We must make North Korea immediately and fully comply with all relevant UN Security Council resolutions and abandon all its nuclear and ballistic missile programmes in a complete, verifiable and irreversible manner,” Abe insisted. “North Korea is escalating an overt challenge to the peace, prosperity, law and order of the region and indeed the entire world.” His remarks were made on the sidelines of an economic forum in the Russian port city of Vladivostok which is also being attended by Russian President Vladimir Putin and South Korea’s Moon Jae-In. On Wednesday, Washington demanded an oil embargo on Pyongyang and a freeze on the foreign assets of its leader Kim Jong-Un in a dramatic bid to force an end to the perilous nuclear stand-off. South Korea has also pushed for moves to cut off Pyongyang’s key supplies of fuel oil, but Russia has dismissed such a call, while China is also reluctant to take measures that could trigger instability or a refugee exodus on its frontier.